Firestick is one of the best inventions from one of the biggest online giant Amazon. Firestick and Fire TV are the most common streaming devices used widely across different countries. Once you have purchased the firestick, the next work is to install the necessary apps for streaming your favorite content. 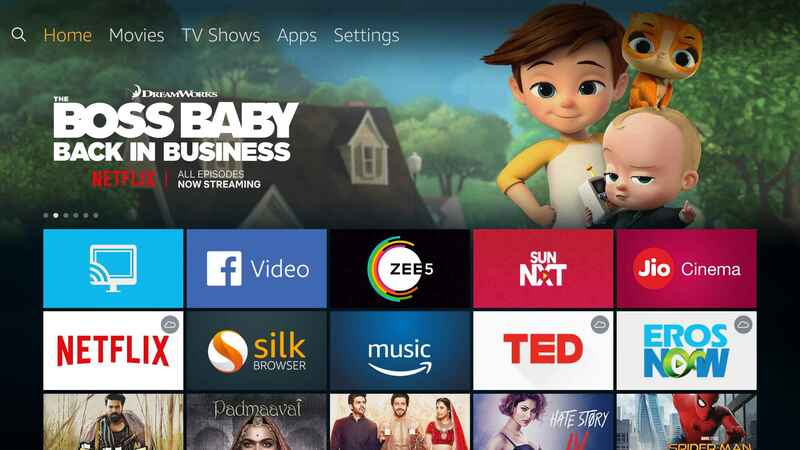 Firestick comes with some of the official app suggestions likely Netflix, Amazon Prime, Silk Browser, Spotify, Firefox, etc… As these are official apps you may need to subscribe them for watching your favorite content. But wait! You can also watch your favorite movies, TV Shows, Sports and other stuff for free using Kodi. 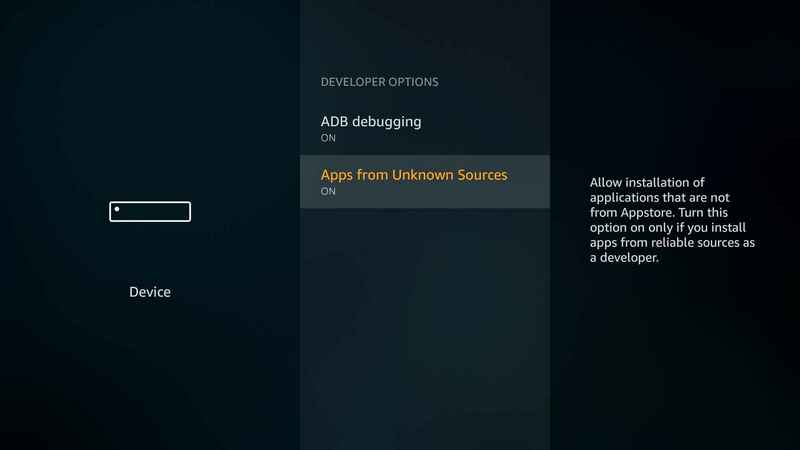 As Kodi is an open source media streaming software, you can’t install it directly from the Amazon app store. So if you need to install Kodi on firestick you gotta sideload it. In this article, we have shared the six easy ways to install Kodi on Firestick. We have also provided screenshots for every step to make the process easy to understand and execute. 3 How to install Kodi on Firestick? We are either not responsible or support to stream illegal stuff on Firestick using Kodi. We don’t own any of the Kodi addons or host any files. All the data are collected from the open web. Quickly sign up for IPVanish now, to get an instant 57% discount on annual plan! Before we start with the installation tutorial, there are few common settings which should be done. These settings have to be done for each method. So whichever method you follow, make sure you complete the initial setup as given below. Once you open the Firestick on your device, the home page would appear something as follows. Now navigate to the Settings Tab using your remote. Then select the Device option under settings. Next, choose the Developer Options. 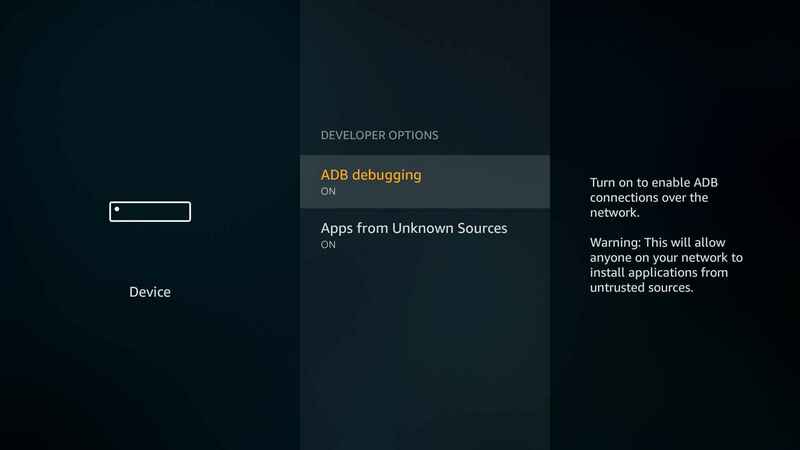 Now you should Turn on the ADB Debugging option. As a next step, turn on the Apps from Unknown Sources option too. 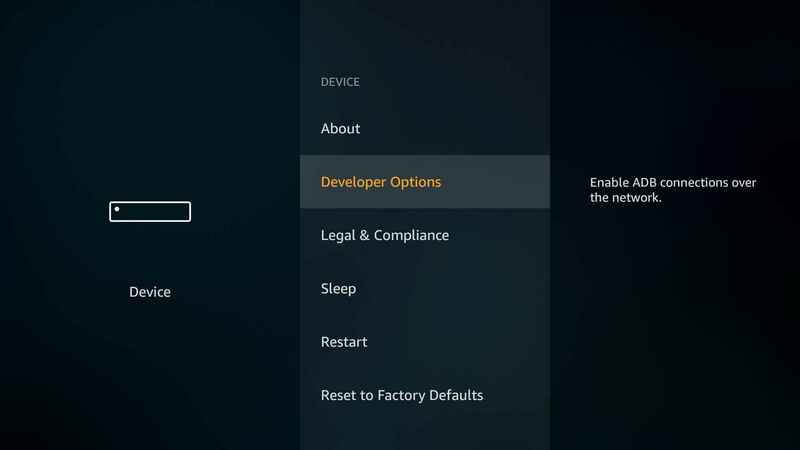 These are the basic steps you must follow before installing Kodi on firestick. 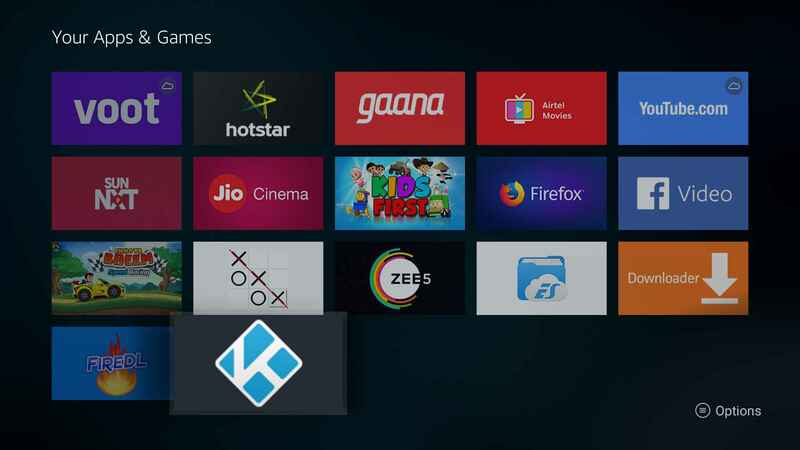 So we have come to the heart of this article, which is none other than the installation of Kodi on Firestick. Let’s take a quick look at the six different tools we are going to use. 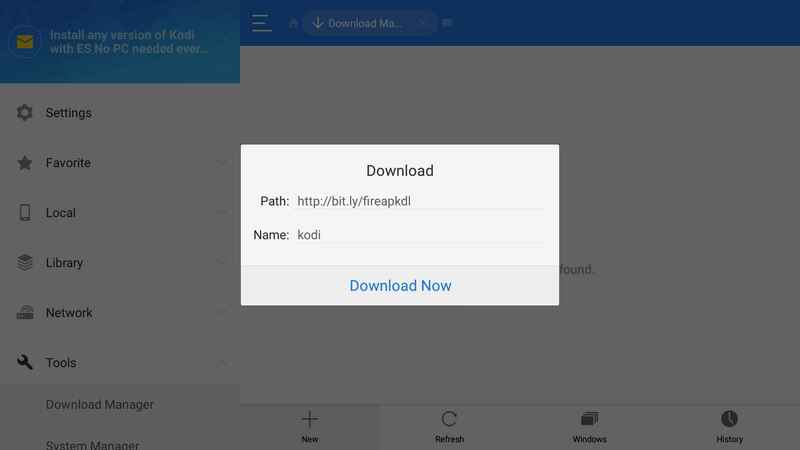 This is one of the easiest ways by which we can directly download and install the Kodi apk file on firestick using the Downloader app. Go to the Firestick search and enter/ pronounce “Downloader“. 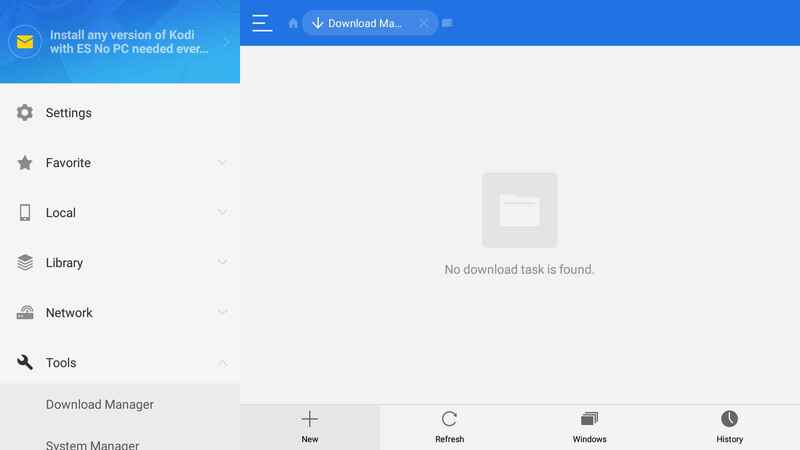 It will show the Downloader app in the search result. Just click on it. You will find the Downloader App information page as follows. Note: We have received few reports stating that the users from some countries aren’t getting the Downloader app in search results. In that case, we suggest you open this page on any of the browsers of your Android or PC device. 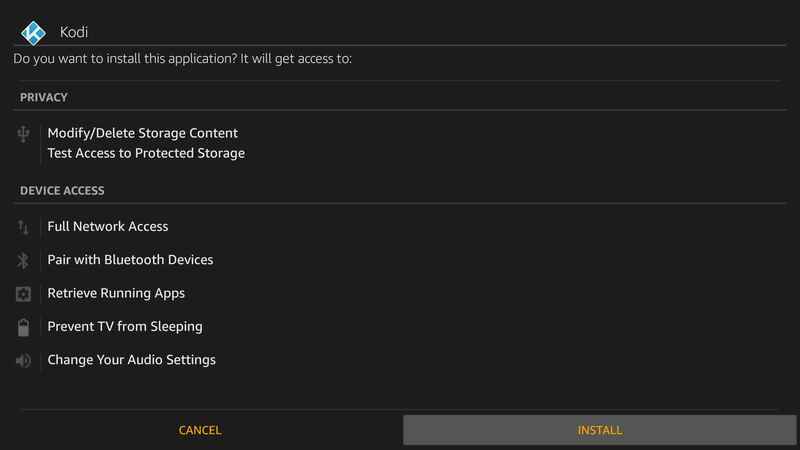 Now you will find the option to install it on your firestick device. 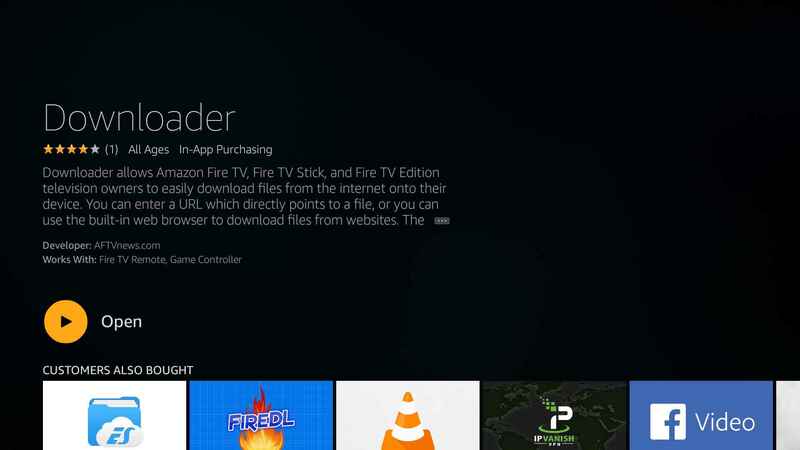 Once you select this app on your amazon associated firestick account, it will automatically get installed on your firestick device. Now just click on Get to download and install the Downloader application. Once installed open the app. You will find the screen as seen in the image. Here you just need to enter the following address in the URL section. 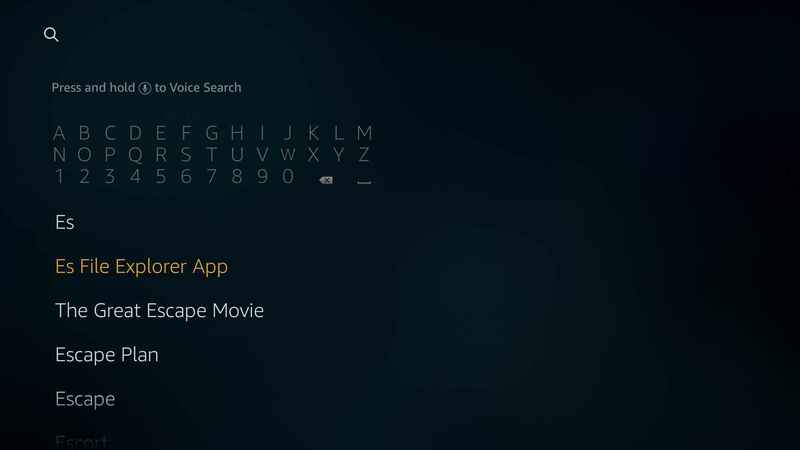 TIP: If you are lazy to type the URL using your keyboard, then I would recommend you to use Fire TV Remote android app. Once you install it on your smart phone, it will be easy for you to type with the android Qwerty Keyboard. 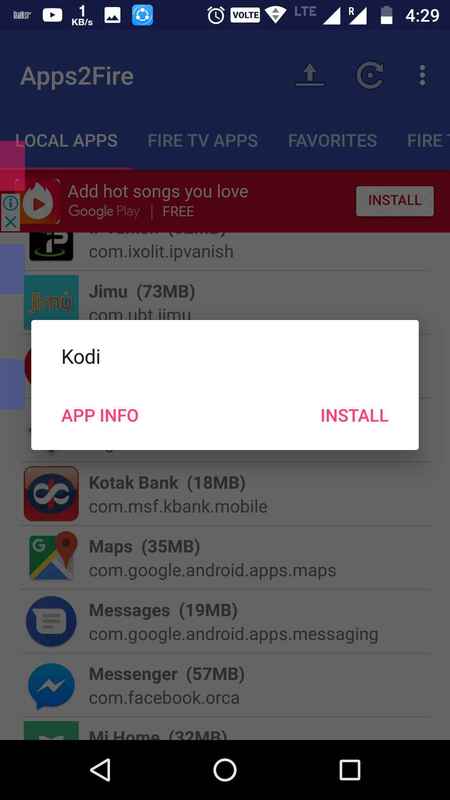 Just select Go to start the download process of Kodi apk file. 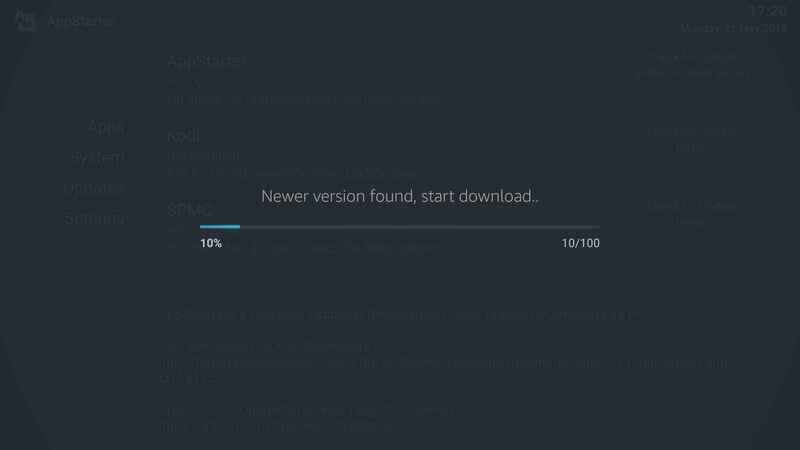 Once downloaded the install page of Kodi will open up. Just select install option. 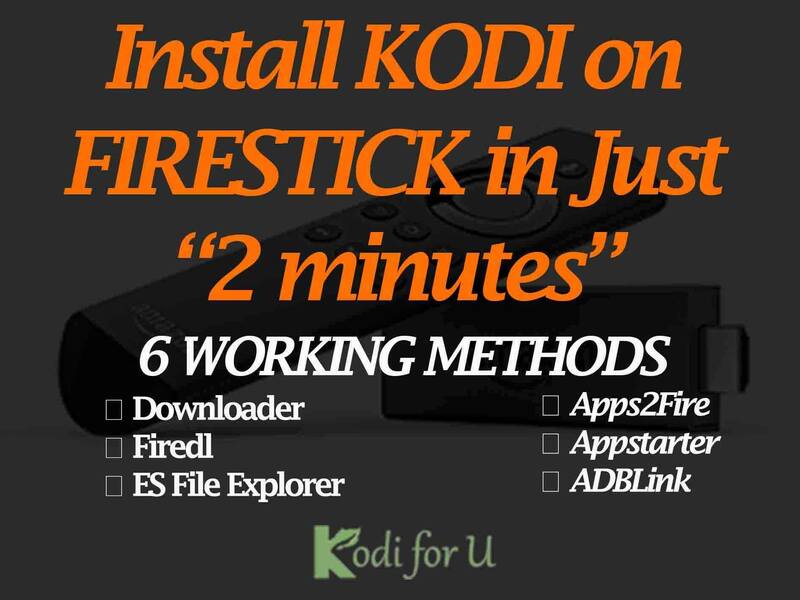 Now it will take a few seconds to complete the installation of Kodi on Firestick. 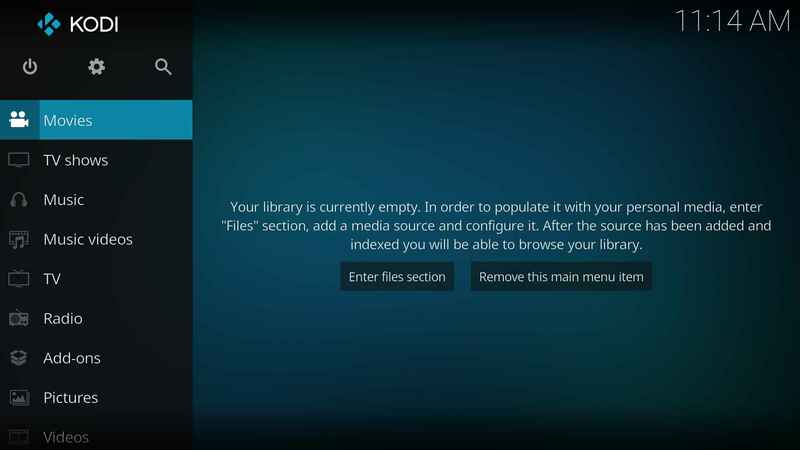 Then select Open to launch the Kodi application. The Kodi will take few seconds to prepare itself for the first run. These are the steps to be followed to install Kodi on Firestick without using Computer. You may check out the second method, in case of any lags with the first one. 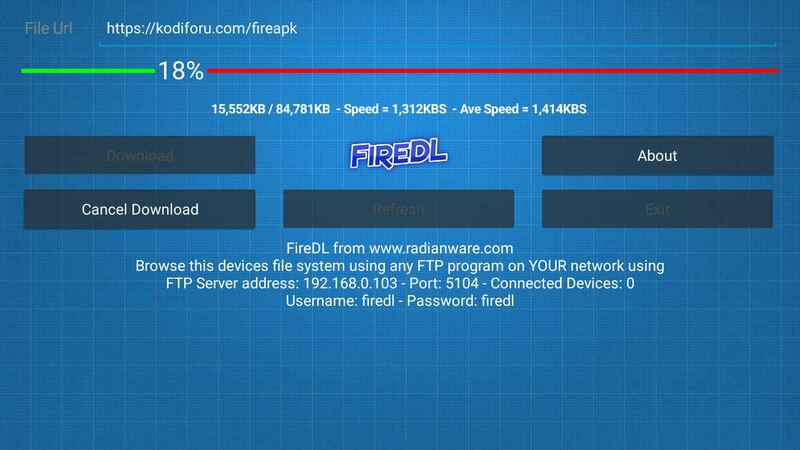 In this method, we will be using another downloader app named Firedl. This app is available in the Amazon app store itself. You can easily get it installed! 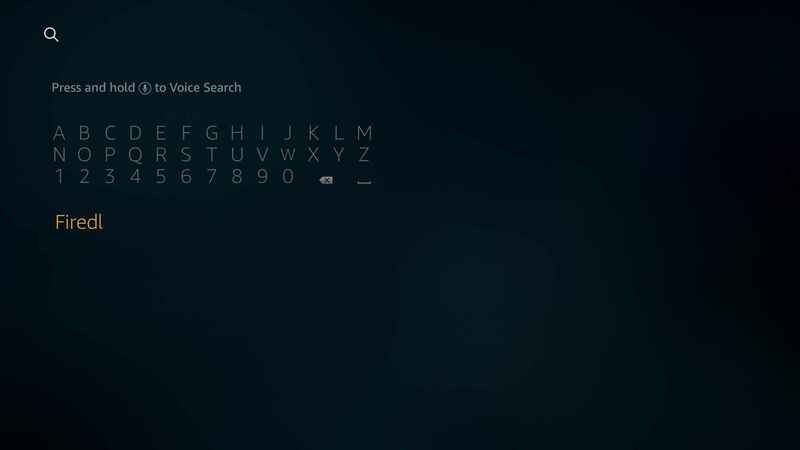 Open firestick search option and enter or voice search “Firedl“. Then select Firedl under APPS & GAMES section. 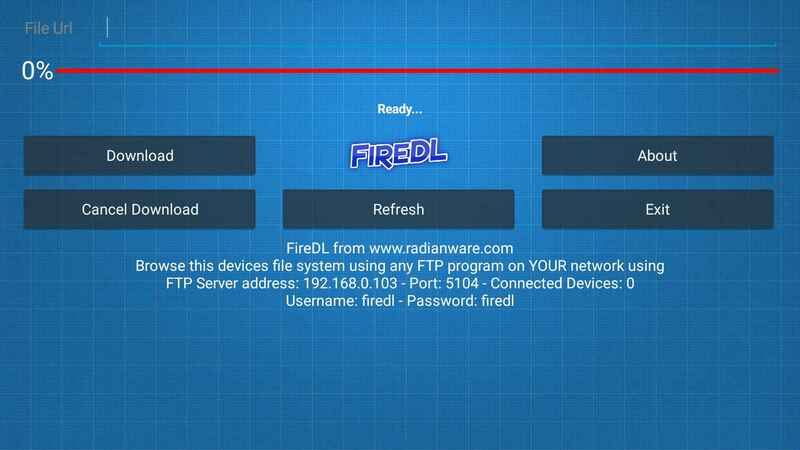 Next download, install and open the Firedl app. Once you have opened the Firedl app it would appear as follows. In the File URL option, you gotta enter the following URL. 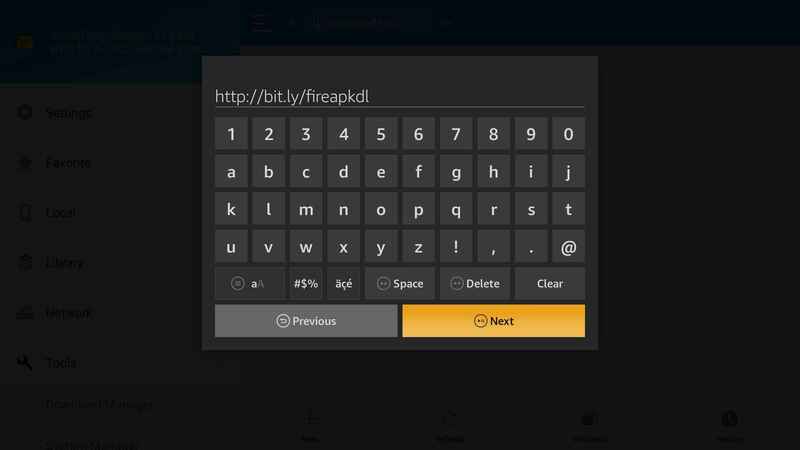 Tip: You use Firetv remote app on your android device to type the URL easily with the keyboard. Then select download to begin the download process. It would take some time to download depending on your internet speed. Once the download is complete, the install page will load. Just choose install to complete the process. You have now successfully installed Kodi on Firestick using the Firedl app. I am sure it would hardly take less than 5 minutes to complete the process. 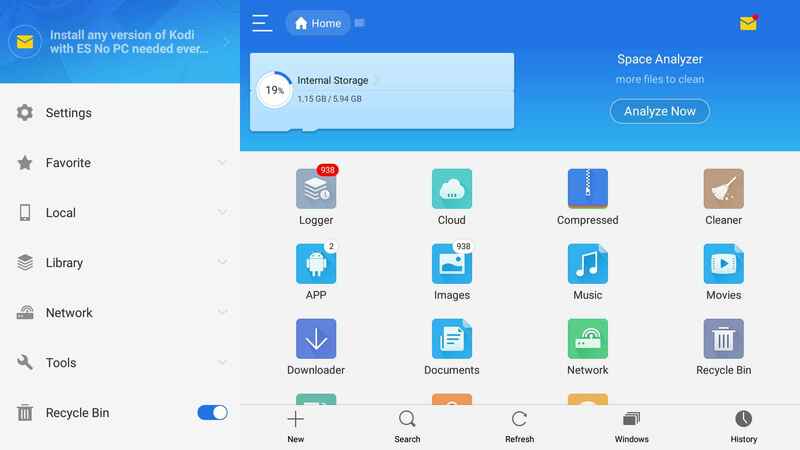 ES File Explorer is quite a popular tool which you could have used on your android mobile. It is also available in the Amazon App Store. It’s one of the popular tools with a high number of downloads in Firestick. 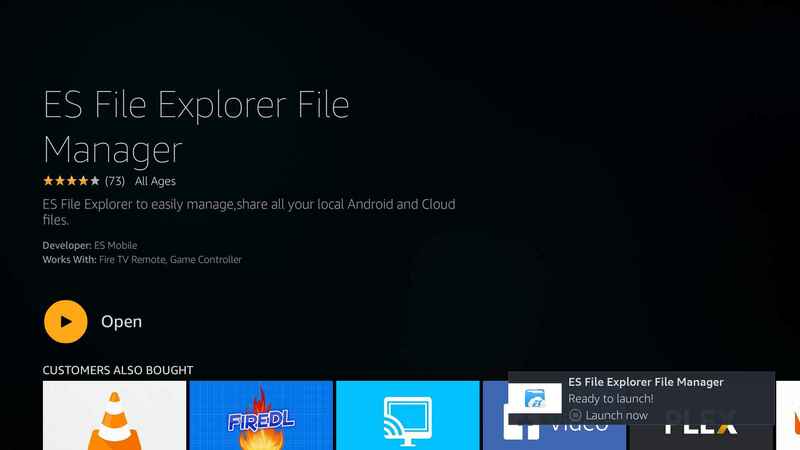 ES File Explorer is a multi-utility tool. One such tool is the downloader. 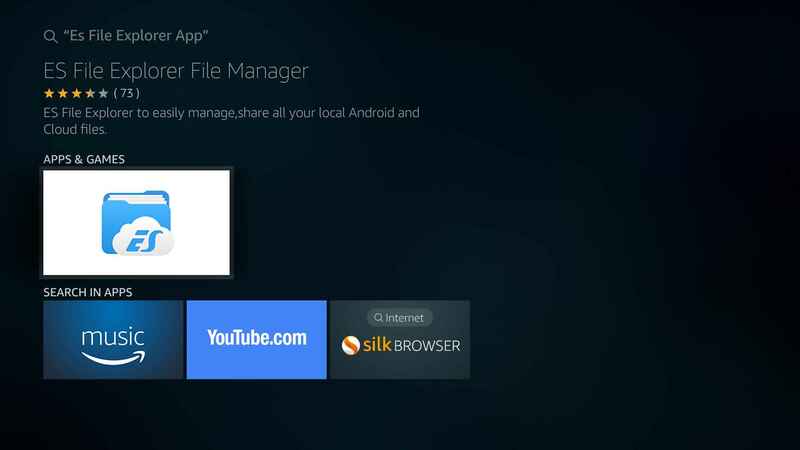 Let’s see how to download the Kodi apk and install it on your Firestick device using ES File explorer. Go to the search tab and enter ES File Explorer and select it. 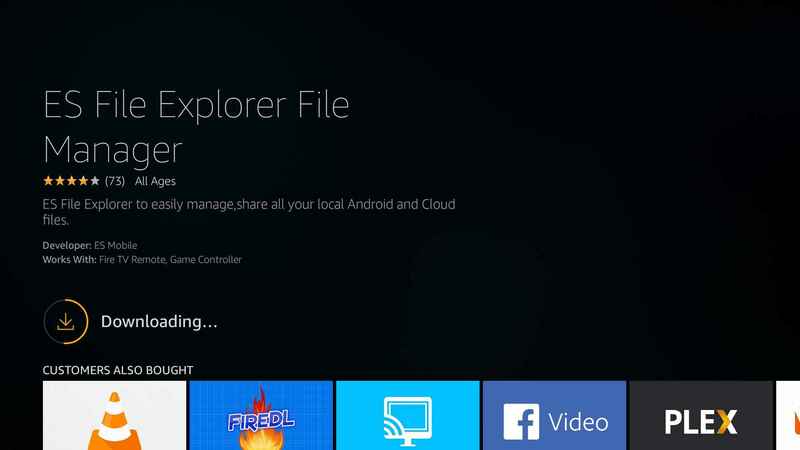 Select the ES File Explorer icon under the APPS & GAMES. Click on Get to download and install the app. Once it’s installed select Open. Using your remote move to the Tools menu in the left column and then select Download Manager. Then navigate and click on New option. In the pop up window we need to enter the Path and Name it. Enter the following URL “http://bit.ly/fireapkdl” and select Next. Next we need to give some name. Here I have entered kodi. Then click on Download Now button. It would take a few seconds to download the file. Once done, select Open file option. Then click on Install option to complete the process. If you are finding it difficult then follow the next method! 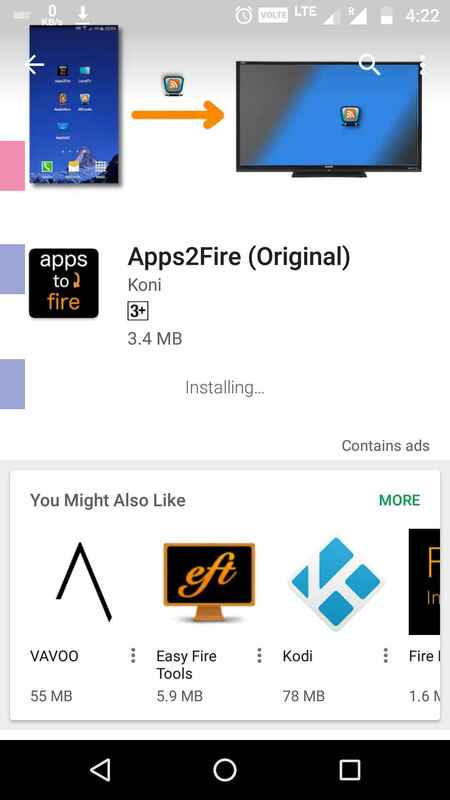 Apps2Fire is an interesting Android app that connects with Firestick. 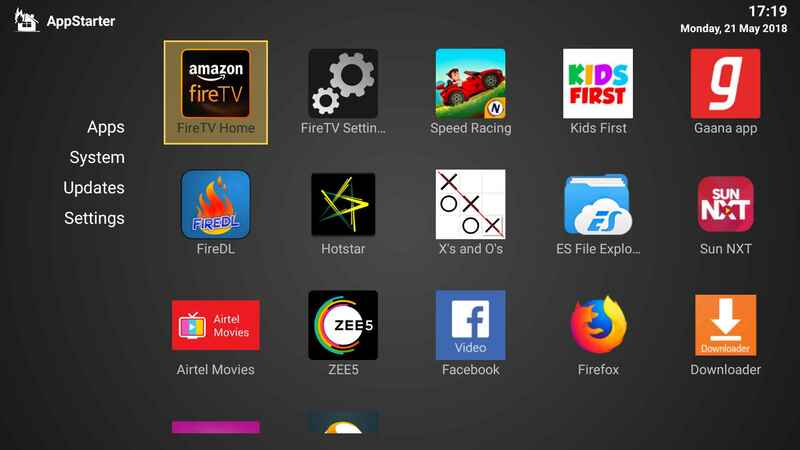 With Apps2Fire you can push the apps on your android device to firestick and install it. 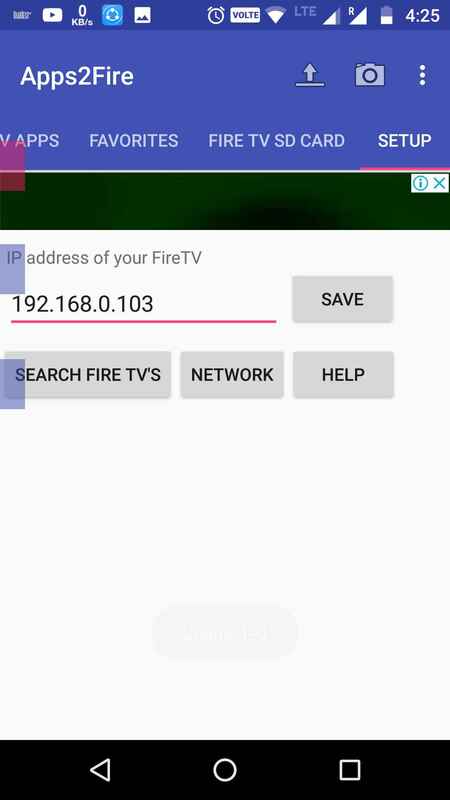 The step by step guide to connect your android phone to firestick is given in this section. 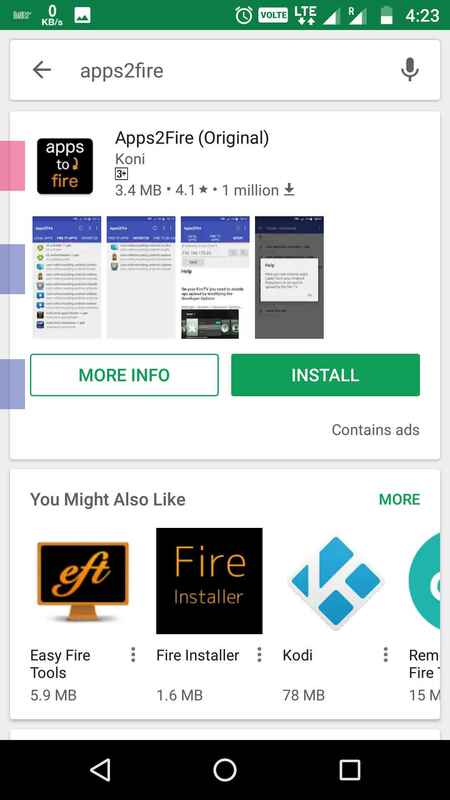 Install Apps2fire on your smartphone. The next step is to connect the app to the firestick. 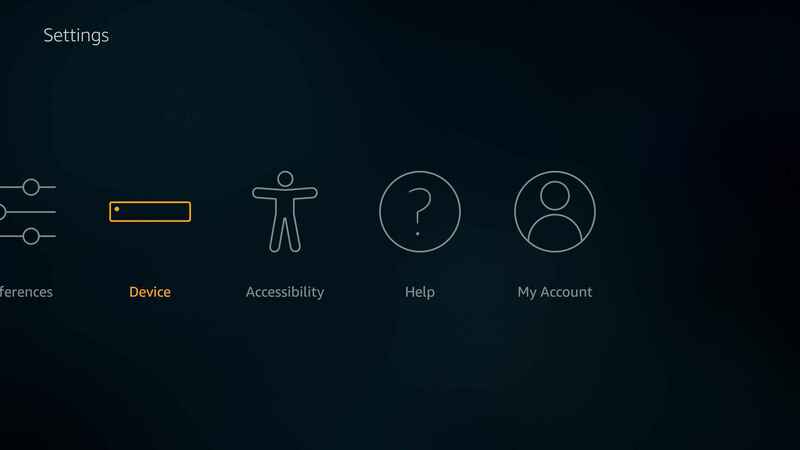 To do so, select the Setup tab and enter the IP address of your Fire TV. NOTE: The IP Address of Firestick can be found at Firestick’s Settings -> Device -> About -> Network. 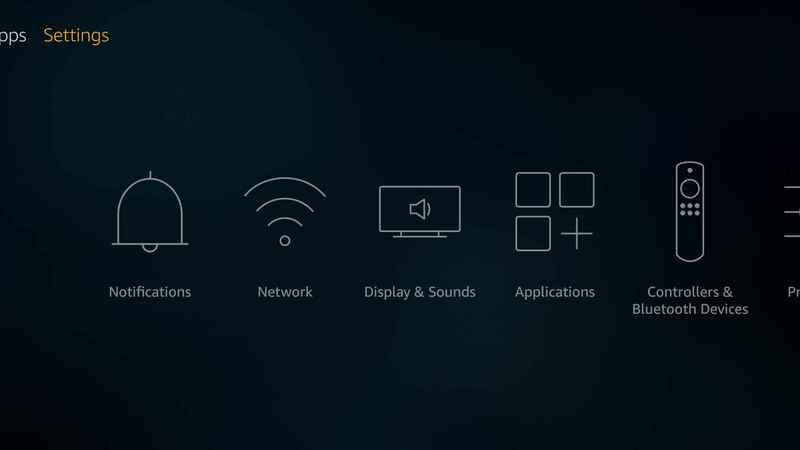 Also make sure your android device and firestick are connected to the same Wifi Network. Then click on the install option. 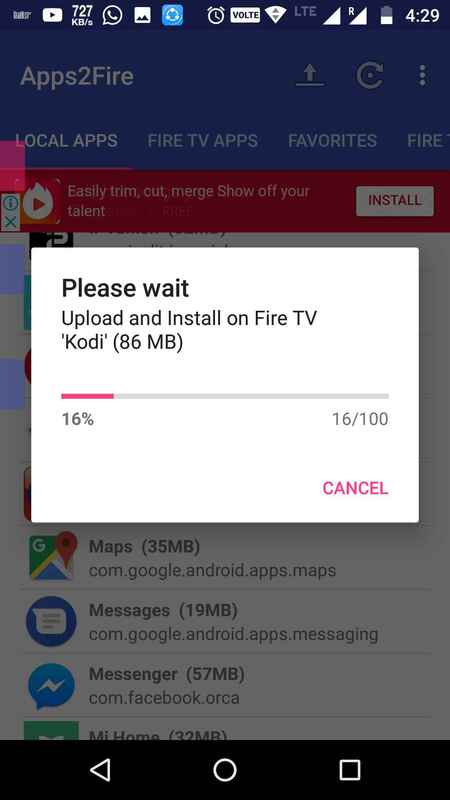 It will upload the Kodi apk to your Firestick and install it over there. 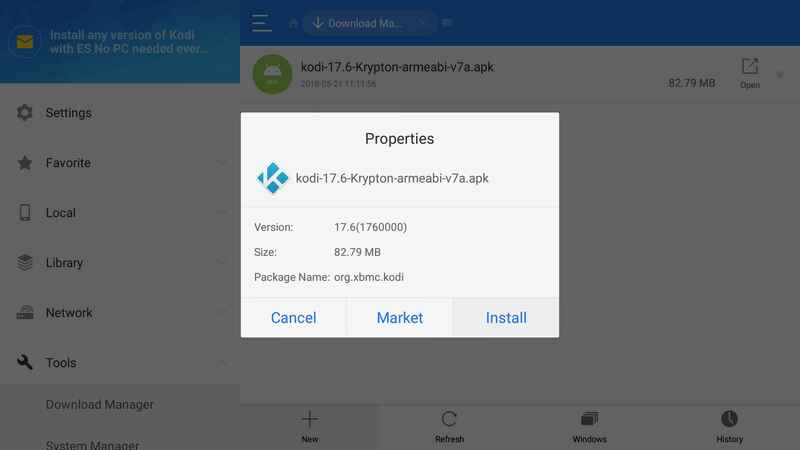 The same steps can be followed to install other Android apps on firestick. After few seconds you can find Kodi on Firestick. 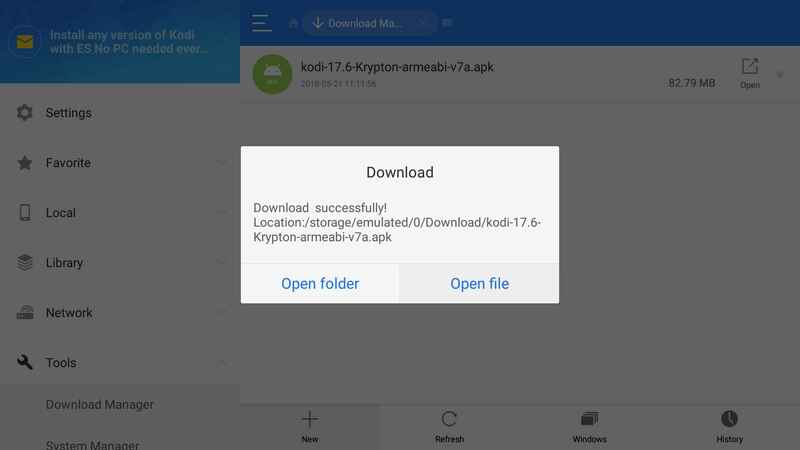 Open the Downloader app on your Firestick. You can check out the Method 1 shared before for the installation guide of Downloader. It will take a fraction of seconds to download. 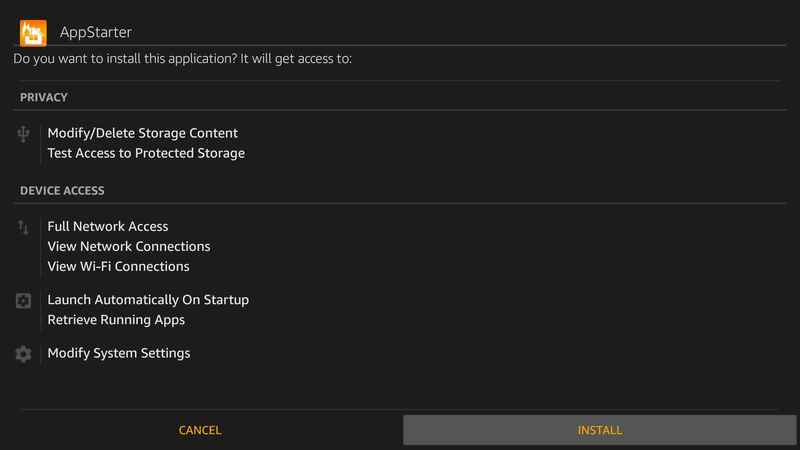 Next click on the install button to complete Appstarter installation. The appstarter will look something as seen in the image. Next select the Updates column in the left column and select Install option in Kodi. Now the app will be downloaded and installed. Select the Check for Update option to check for Kodi Update. 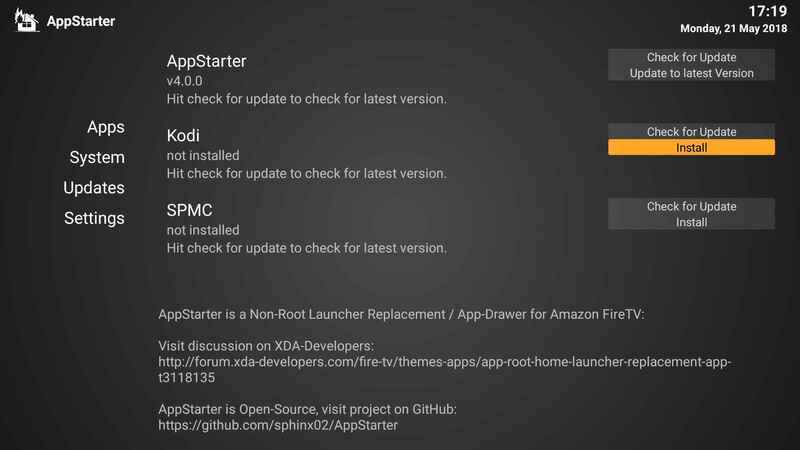 These are the steps to install or update Kodi on firestick using the Appstarter app. 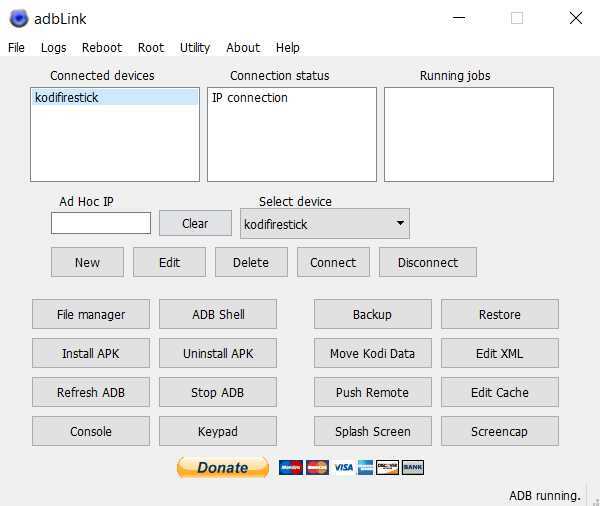 This is an interesting method to install Kodi on Firestick using the computer via ADBLink Software. Follow the steps given carefully. 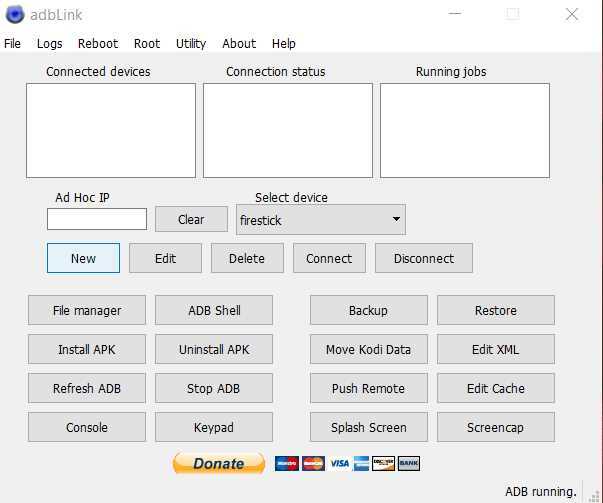 Download the Adblink exe file and Kodi APK file on your Windows PC. 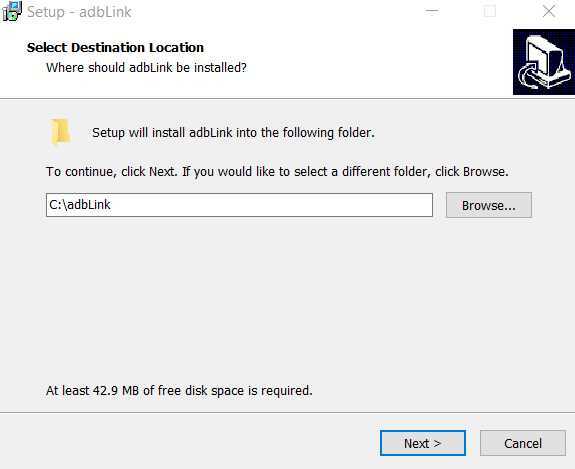 Then run the AdbLink exe file. 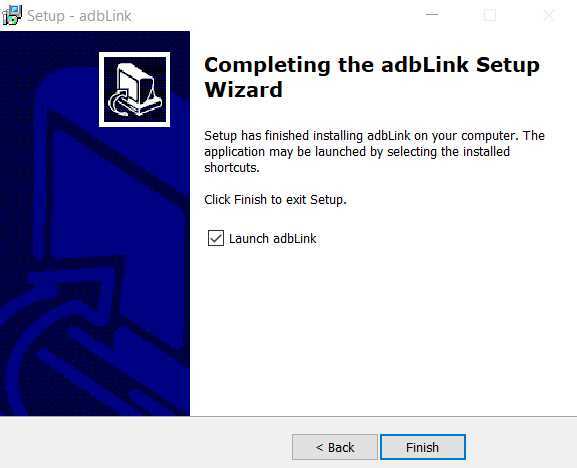 Then complete the installation process and launch the ADBLink software. Once opened the app click on the New option. Now enter the Description with some name and enter the IP Address of firestick. 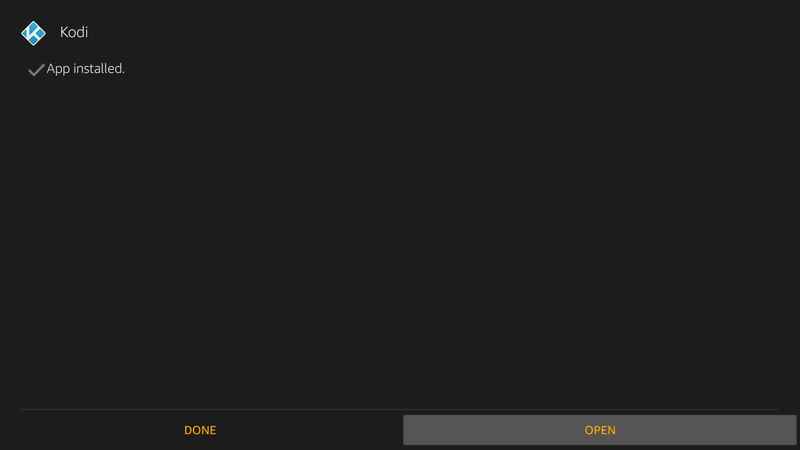 (You can find the IP address of firestick under this path: Settings -> Device -> About -> Network) Then choose the Pull Folder in your windows PC. 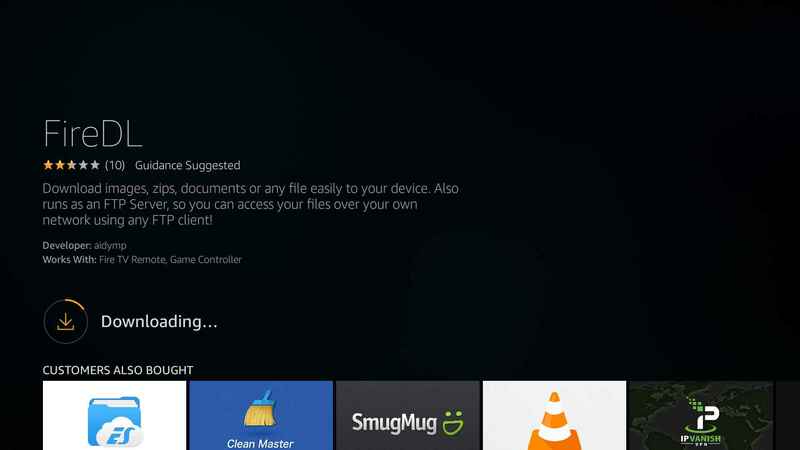 Now click on Connect to sync your Windows PC with Firestick. Note: The connection will be established only when your PC/ Laptop and Firestick are connected to the same network. You can confirm the connection by checking the Connection Status option. Now it’s time to install the Kodi apk on Firestick. 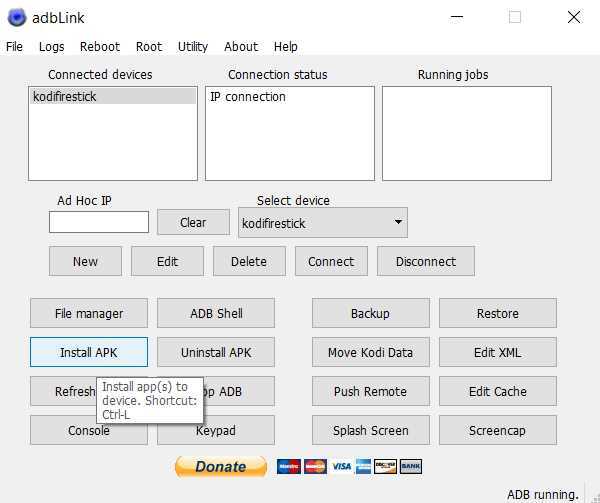 To do so, select the Install APK option in the AdbLink software. 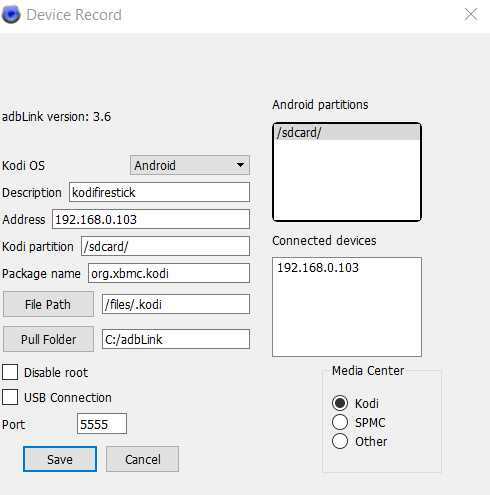 Next, select the Kodi apk file which you have downloaded on your PC in step 1. 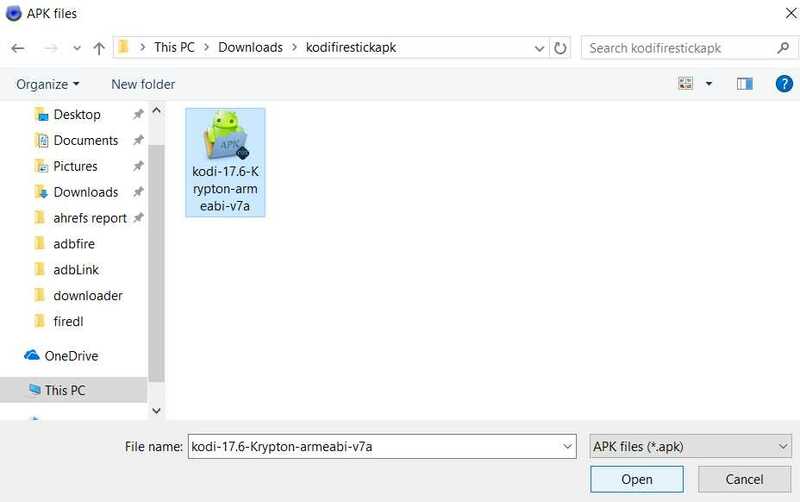 Now the apk will be transferred to your firestick and installed in a fraction of seconds. You can find a notification in firestick regarding the installation.